Not counting this year Kyrie has played and most likely started 441 out of 558 games (six full length seasons 6 x 82 plus 1 lock out season of 66 games) which is 0.7903 or roughly 79% and is equivalent to 64.8 games in an 82 game season. Again not counting this season, Chris Paul: 892/1050, 0.8495 or 69.66 games in an 82 games season. So Paul actually has a better games played percentage or whatever you want to call it. Now most people would classify Chris Paul as prone to injury. He will be sitting vs Philly, we'll see if Rozier can step it up in a crunch game. No point in playing him at all this week. Let him get to 100%. They are not getting the first seed overall and 2nd might be tough now too. The one win? In Philadelphia in OT. - Game 3 of the East Semis last May. Celtics need to say no All Star game either then. They'd have to be crazy to let him play the ASG if they're sitting him tomorrow and Wed. If he aggravated it in the ASG it would be catastrophic. As for 2nd seed, I think that's not happening. 3rd seed is what they can realistically hope for. 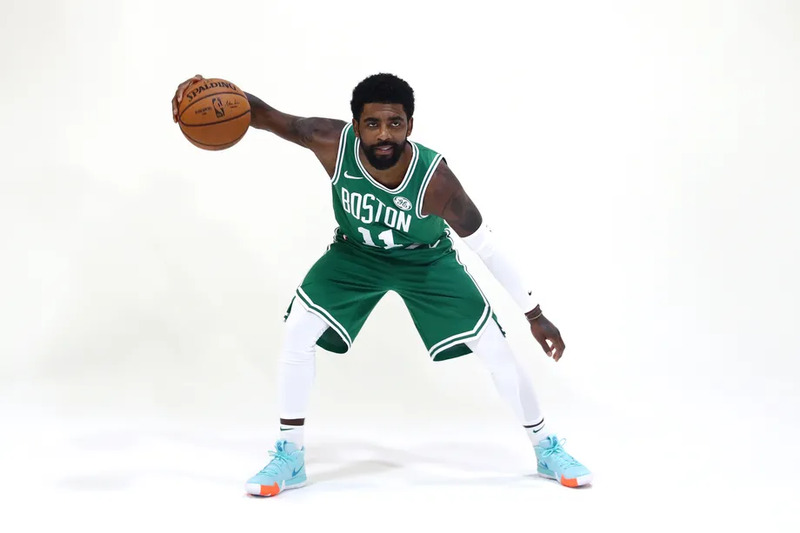 Kyrie's durability is one of my big concerns with him. Getting him to the playoffs is the priority but it feels like it'll be this way every year with managing his health. It'd be a very good problem to have but a team with both him and the similarly fragile Davis would be a roll of the dice every year and could easily wind up like the CP3/Blake teams where at least one's always out in the playoffs. As you said, nice problem to have, but I think it's fair to say that having a lot of depth and managing minutes would be really important. Does that game feel like a lifetime ago to anyone else? Something tells me he’s playing. +1, if he sits today (wed), he needs to sit out the ASG. what kind of message is that sending the rest of our team? I would be really surprised / p---ed if that happens. Do you really believe that before signing a player to a 5 year $180 million contract, Ainge and the Celtics hierarchy, which includes a bunch of lawyers, wouldn't have him looked at by the very best of doctors?